What’s for dinner tonight? Will there be leftovers for tomorrow’s lunch? Is your answer takeout — delivery — leftover pizza — the mid-week casserole everyone’s tired of — or simply no idea? Looks like you’ll have to stop at the store to find something, then go home and cook dinner. Again. Oh, the drudgery on busy week nights. Even those who love to cook grow weary of the shopping, chopping, measuring, and sautéing involved with making dinner. But putting a healthy meal on the table every night falls onto the “must do” list for millions of families everywhere, while singles the world over face additional challenges of shopping and cooking for one. This familiar scenario plays on auto-repeat around the world. Or maybe not… Nowadays, it’s meal prepping businesses to the rescue! Want to bake healthy results into yours? Follow a few key recipes for meal prep payment processing, and the flavors turn out just right. Just like there’s not one favorite ice cream flavor for everyone, the business models employed by meal preparation companies vary. That’s good news in a growing market. Two models dominate the industry. Meal-prep kits and fully cooked meals — akin to retail choices in the furniture industry: DIY flat pack furniture vs. a dining room suite delivered by the local furniture store. For those who don’t like (or have time for) choosing recipes, grocery shopping, chopping and measuring, but who want to cook at home, meal prep kits provide everything needed to put home-cooked food on the table quickly. They typically include pre-portioned ingredients to serve two to four diners (protein — carbohydrate — vegetable), seasonings, and step-by-step recipes. Menu choices change daily, weekly, or monthly. Fully cooked meals delivered to your home (or office) take the hassle out of meal prep. They arrive frozen or flash-chilled according to a chosen schedule. All that’s needed to enjoy these meals is a microwave and fridge or freezer space to store extra meals. The emphasis remains on healthy eating. Some meal prep companies team up with celebrity chefs or fitness buffs — and others promise “lifestyle” benefits from a diet rich in organic, plant-based, whole foods. Most cater to individual preferences and fitness goals. Meal prep business models usually support one-off purchases, but vie for subscription customers to attain steady, successful growth. One-off purchases (usually with a minimum $$$ cart total per order or an additional “guest purchase fee”) allow new customers to experience your excellent meal services. But once those customers experience the fabulous flavors and excellent delivery services you offer, the goal is for the patrons to purchase a recurring subscription (or membership) service. Weekly or monthly subscriptions are common, along with the ability to change upcoming delivery schedules — defer or cancel deliveries — and cancel memberships at will. All of those capabilities shout extra complexity for your website, and for your payment processing needs. That’s why meal prep payment processing represents a specialty within the payments industry. Ambitions for ecommerce merchants vary, but nearly all want to experience successful business growth. For some, revenues rise like bread dough… but for others sales deflate more like a soufflé. Keeping your meal prep business growing on a healthy trajectory means dealing with challenges and focusing on the right tasks — including those dealing with payments processing. One complexity that high risk subscription merchants deal with — called “churn” in payments industry lingo — refers to existing customers that simply stop doing business with a company. Payment churn occurs in two flavors, voluntary and involuntary. Both result in missed revenues and higher operating costs. Of course, customers don’t always sign up for subscription meal services after a one-time purchase. When you lose a customer this way it’s called voluntary churn. Involuntary churn means a customer did not make an explicit decision to drop a membership, but most likely exceeded their credit limit or neglected to update payment card information like expiry date. Find more churn check out this post, which includes suggested actions to help reduce involuntary churn in subscription-based ecommerce businesses. Industries cited may differ, but the impacts and recipes for success remain the same. Other payments topics worth knowing about for healthy business results include security, CNP fraud, and chargeback management. If you own a meal prep service, then you charge subscription customers on a recurring schedule. 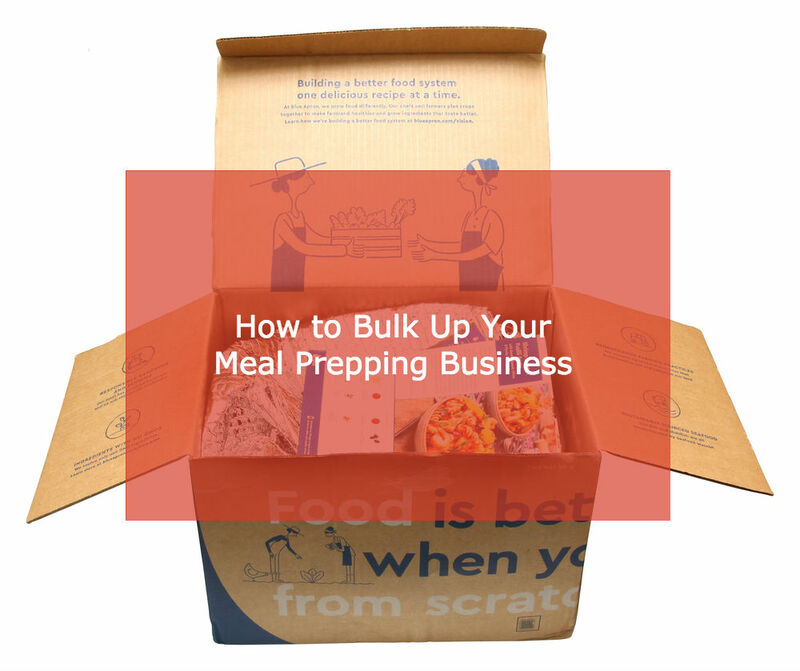 Which means that meal prep payment processing is a specialty you’ll want to add to your menu. The right type of merchant account that handles recurring billing — and the right processing partner — can ensure that payments to your business process quickly and effectively to maximize revenues. We’re the leading provider of merchant accounts and payment technology to subscription companies. Meal prep payment processing is an important specialty of ours. MerchACT is more than a processor, also serving as a consultant/adviser to help your business succeed. Our merchant payment platform is easily integrated with your ecommerce website and provides all of the components needed to process and settle transactions under one roof. To fit your individual business model and future growth plans, our payment processing services are custom tailored to fit your needs. When you’re ready to work with a payments processor focused on keeping your business healthy — while you help customers serve up healthy meals — give MerchACT a call. We’d like to be your partner.